Bob Quinn was a baseball man for more than 60 years. He started as a player in the 1880s, although he never made the majors, and then became a business manager/general manager. At various points from 1917 through 1945, he held this role at the big-league level with the St. Louis Browns, the Brooklyn Dodgers and Boston Braves. From 1923 through early 1933, he fronted the group that owned the Boston Red Sox, while also running the business. Late in life, he became director of the Baseball Hall of Fame (1948-1952). Yet as SABR member Craig Lammers wrote in 2007, a seminal chapter of Bob Quinn’s career came in the minor leagues, as the business manager of the American Association’s Columbus Senators early in the 20th century. Lammers called Quinn “truly one of baseball’s greatest innovators,” noting that he deserves credit for such original concepts as ownership of farm teams, hiring a group of scouts and managers, and having multiple players under option to different teams in the same league. Quinn hatched these ideas while building the first team to win three consecutive championships (1905-07) in the American Association. Though ultimately short-lived in practice at Columbus, Quinn’s thoughts on player development were decades ahead of their time. They were a significant influence on a fellow Ohioan, Branch Rickey, who is typically credited with initiating the development of the farm system. For most of Quinn’s own career as a big-league owner and executive, he was hamstrung by lack of funding. Yet many other major-league execs relied on his blueprint to build their organizations. His foremost disciple was his son John J. Quinn, who followed his father’s teachings to the letter during 28 years as a general manager in the majors. Two more generations of Quinns have been closely involved with baseball – the family’s influence has come to span well over a century. Bob Quinn was born James Aloysius Quinn on February 14, 1870, in Columbus, Ohio (though some accounts say Anderson, Indiana). He was the oldest of five children.1 The 1880 census shows the Quinn family living in Columbus. Father John, who was born in Ireland, was a stone cutter. Mother Annie, an Ohio native, had given birth to three other siblings at that point, a brother named John, plus two sisters named Mary and Ellen. Quinn was still shown as “James” then; he took the name “Bob” or “Bobby” as a young man.2 He had Irish coloring: red hair and a ruddy complexion. Quinn was appointed manager of the Columbus club for 1900, inheriting a weak team and finishing in sixth place. He also saw action in 33 games as the backup catcher and utilityman. After the season he relinquished his duties as field manager to concentrate on his job as business manager. This position was similar to a modern general manager. As Lammers observed, it was in the area of finding and developing talent that Quinn’s genius would be realized. From the beginning he was impressed with players who knew the game and had the ability to help develop young talent. Finding those players was his job and he was good at it. For full detail on Quinn’s operation and how it emerged into a prototype farm system, one should refer to Lammers' article. Among other things, it covers the development of baseball in Ohio, including the formation of the Ohio State League in 1908. 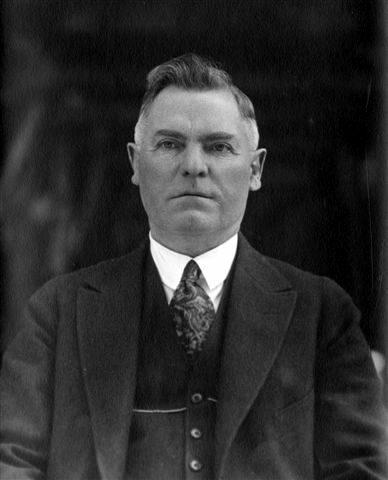 Quinn was named the president of the new league –– a job that entailed new responsibilities but also created new opportunities for the scouting and placement of players. Lammers also singled out the importance of Lee Fohl, “Quinn’s most trusted baseball man. . .More than anyone other than Quinn himself, Fohl was responsible for the success of the Columbus farm system. He had the skills needed by Quinn, including the ability to develop both young pitchers and position players. He also had an eye for talent on other clubs, players who could be traded for or purchased. Quinn’s faith in Fohl was so great that he later hired him to manage the major-league St. Louis Browns.” According to Lammers, Branch Rickey was also learning Quinn’s methods and using them with college stars, such as Hall of Famer George Sisler. Tom Shehan, sports editor of Yank: The Army Weekly, wrote about Quinn’s move in 1945. When Browns owner Phil Ball made the offer, he wrote, “There’s really nothing to the job. All you need is bunk and bluff.” Quinn – known and respected for his honesty – responded, “I have never practiced bunk or bluff in my life.”11 “A sense of humor and a disarming frankness” also were part of his reputation.12 The Browns had moved from Milwaukee, where they were known as the Brewers, after just one season in 1901. From 1902 through 1916, they finished over .500 just three times while landing in the cellar for four seasons. Although the win totals inched up each year, the Browns remained below .500 from 1917 through 1920. After the 1920 season, Quinn made a particularly notable contribution to the governance of Major League Baseball. That November, amid internal strife among the clubs and their owners, “the three-man National Commission [which had overseen organized baseball since 1903] was discarded and, apparently, so was the idea of a new three-man governing body [a.k.a. the Lasker Plan]. . .The elimination of the proposed three-man commission in favor of a single arbiter was first introduced by. . .Bob Quinn.”13 Judge Kenesaw Mountain Landis emerged as the sole Commissioner, and he would rule with an iron fist. Momentum began to gather for the Browns in 1921. With Lee Fohl as manager, St. Louis finished third in the AL at 81-73, the club’s highest standing since 1902. The next year the Brownies posted their best winning percentage ever at 93-61 (.604). That squad – starring George Sisler, Ken Williams, Marty McManus, Baby Doll Jacobson, and Urban Shocker – finished just one game behind the New York Yankees. It was the closest the downtrodden franchise ever came to winning an AL pennant until its lone taste of success in 1944. After the 1919 season, the Red Sox had sold Babe Ruth to the Yankees. The embattled owner of the Red Sox, Harry Frazee, hung on for a few years – but in August 1923, he finally sold out to a group of Columbus investors led by Quinn. The most important – i.e., deep-pocketed – of these investors was Palmer Winslow, who had made his fortune with the Winslow Glass Company of Indiana.16 The Encyclopedia of Major League Baseball Clubs notes that Quinn was “goaded in the background” by American League president Ban Johnson, who was “eager to rid the game of his archenemy.”17 The price was $1.15 million. Quinn started with a splash. As the franchise history Red Sox Century put it, “Quinn said, ‘Our big idea is to go out and get ballplayers.’ Over the next seven weeks he spent two hundred fifty thousand dollars acquiring no fewer than seventeen minor league stars in a buying frenzy. . .But Quinn wasn’t the judge of talent he thought he was.”18 In retrospect, it was a painful lesson: buying talent – even to stockpile at the minor-league level – was not the way to go. The Encyclopedia of Major League Baseball Clubs continued, “The crash of the stock market in 1929 and subsequent depression jarred Quinn to his last resorts. The Red Sox must be sold. On the downside was the fact that the club owned a derelict ballpark, a horrible pool of playing personnel, a drastically reduced fan base, and an organizational structure in disarray. Under normal circumstances this debilitating picture alone would have led Quinn to entertain even the most preposterous offers for his ball club. But there was a redeeming feature of value – the land upon which Fenway Park rested, which even during the depression was worth well over $1 million. Quinn found the angel he needed in Tom Yawkey.”20 The wealthy Michigan lumber magnate bought the Red Sox for $1.2 million in February 1933. Quinn next became business manager of the Brooklyn Dodgers, effective October 1, 1933.23 He served for two seasons, 1934 and 1935. The Dodgers were better than the Red Sox, but not that much. They had finished sixth in the National League in 1933 and remained in the second division during Quinn’s relatively brief tenure there. The lineup featured the likes of Tony Cuccinello, Frenchy Bordagaray, and Jersey Joe Stripp. The staff ace was Van Lingle Mungo. Perhaps the most memorable moment during this phase of Quinn’s career was Bill Terry’s quip ahead of the 1934 season, “Is Brooklyn still in the league?” As author Bob McGee wrote in his history of Ebbets Field, “Bob Quinn read it in the newspaper and, knowing an opportunity when he saw one, pretended to blow a gasket. . .Quinn was more than a little displeased when [manager] Max Carey failed to weigh in. . .before Carey could even pack to get to training camp, he was out of a job.”24 The new skipper was Casey Stengel. The Braves might have had an opportunity to become Boston’s top baseball franchise in the 1920s, but it was a dreary decade for them too. One of the team’s problems was its ballpark, Braves Field, which former owner Jim Gaffney had constructed with vast dead-ball era dimensions. In the 12 years that Judge Emil Fuchs owned the Braves, from 1923 through 1935, the best they could muster was consecutive fourth-place finishes in 1933 and 1934. There was nowhere to go but up after a ghastly 38-115 record in 1935, but the Braves – known as the Bees from 1936 through 1940 – never got above fifth place during the nine years that Quinn headed the club. In both 1937 (under Bill McKechnie) and 1938 (under Stengel, whom Quinn hired for the second time), Boston finished a little above .500. Meanwhile, the fortunes of the Red Sox had ascended under free-spending Tom Yawkey; the Braves’ attendance lagged and the organization lacked depth. In January 1944, Boston construction executives Lou Perini, Joe Maney, and Guido Rugo bought control of the Braves. The following February, on his 75th birthday, Bob Quinn stepped down as the team’s general manager, becoming farm director instead. In doing so, he traded places with his son John. Bob put it wryly, “He [John] has taken care of what minor-league interests the Braves have had.”30 Before long, however, the new owners finally provided the financial backing to implement the Quinn philosophy: developing a farm system, hiring a good scouting staff, and putting good managers in charge of the minor-league clubs. Bob Quinn was survived by his wife, Margaret (née Clark), their two sons, Robert and John, and two daughters, Margaret and Mary. Robert Quinn became a Dominican priest, serving as a professor and director of athletics at Providence College. John spent 47 years working for major-league baseball teams. As a boy, he kept busy doing “countless little jobs” and “running errands” for his father while Bob was business manager of the Browns.41 After graduating from Boston College in 1929, John then served a long apprenticeship under his father with the Red Sox and Braves. During his time as GM of the Braves in Boston and Milwaukee (1945-58), the franchise won three National League pennants and the 1957 World Series. After Quinn went to Philadelphia in 1959, he did another major rebuilding job, though the Phillies never won a pennant on his watch – their collapse in 1964 was his biggest disappointment in baseball. Four of John Quinn’s five children became involved in baseball. The third-generation Bob Quinn came up through the minors as an executive and worked as a farm director and scouting director in the majors. He then became general manager for three big-league clubs from 1988 to 1996. His son, also named Bob, became a major-league executive too. John Jr., or Jack, was a minor-league exec, notably with the Hawaii Islanders, which he owned for several years. Margo married another longtime farm/scouting director and GM, Roland Hemond. Susan worked for a time in the front office of the California Angels while they were the parent club of the Hawaii Islanders. Craig Lammers, “Bob Quinn: Father of the Farm System,” Outside The Lines (a publication of SABR’s Business of Baseball Committee), Fall 2007. 1 Frederick G. Lieb, “Quinn’s 60-Year Record in Game One of Best,” The Sporting News, March 24, 1954, 13. 2 “‘Bob’ Quinn Dies, Famous Baseball Front Office Man,” Associated Press, March 12, 1954. 3 Bob Hudson, “Visits from Mack, Lang Give Bob Quinn New Life,” St. Petersburg Times, January 5, 1952, 17. 4 “Perservering Bob Quinn Looks Ahead,” Associated Press, December 24, 1941. 5 “Bob Quinn Coming Back,” The Sporting News, December 19, 1935, 4. 6 “London Laconics,” Sporting Life, August 17, 1895, 17. 8 “Bobby Quinn’s Retirement,” Sporting Life, December 16, 1916, 8. 9 Sporting Life, April 21, 1917, 7. 10 Harvey T. Woodruff, “Interesting Announcement Regarding ‘Bobby’ Quinn,” Sporting Life, January 2, 1915, 26. “St. Louis Browns,” Sporting Life, February 12, 1916, 8. 11 Tom Shehan, “Sports,” Yank: The Army Weekly, date unknown, 1945. 13 Michael T. Lynch, Harry Frazee, Ban Johnson and the Feud That Nearly Destroyed the American League, Jefferson, North Carolina: McFarland & Company, 2008, 144. 14 “Mobile Magnate Finds Signs of Profiteering,” The Sporting News, December 1, 1921, 8. 15 Steve Steinberg, “The Rise of Baseball in St. Louis, 1920-1925,” in The St. Louis Baseball Reader (Richard Peterson, editor), Columbia, Missouri: University of Missouri Press, 2006, 106. 17 Robert K. Barney and David E. Barney, “Boston Red Sox,” Encyclopedia of Major League Baseball Clubs (Steven A. Riess, editor), Westport Connecticut: Greenwood Press, 2006, 512. 18 Glenn Stout and Richard A. Johnson, Red Sox Century, Boston, Massachusetts: Houghton Mifflin, 2004, 161. 19 Red Sox Century, 162. 20 Barney and Barney, Encyclopedia of Major League Baseball Clubs, 513. 21 Bob Ryan, “Yawkey Money Not Enough,” Chapter Three of The Rivals, New York, New York: The New York Times, 2004, 56. 22 “Death Takes Bob Quinn. Former Operator of Reading Baseball,” Reading Eagle, March 12, 1954, 19. 23 Frank Reil, “Driscoll Resigns as Business Manager of Brooklyn,” Brooklyn Daily Eagle, September 19, 1933, 19. 24 Bob McGee, The Greatest Ballpark Ever: Ebbets Field And The Story Of The Brooklyn Dodgers, Piscataway, New Jersey: Rutgers University Press, 2005, 121. 25 Bob McGee, The Greatest Ballpark Ever, 120-121. 29 David Stevens, “Atlanta Braves,” Encyclopedia of Major League Baseball Clubs, 22. 30Rumill, Ed. “Dad Quinn Coaches Son Into Own Job,” The Sporting News, February 22, 1945, 7. 31 “Hamey Reported Next AA Prexy,” Associated Press, November 28, 1945. 32 Fred Lieb, “Quinn Quits Hub, Out of Game First Time in 50 Years,” The Sporting News, November 29, 1945, 5. 33 “Bob Quinn, Hall of Fame Head Marks 80th Birthday,” The Otsego Farmer (Cooperstown, New York), February 17, 1950, 1. 34 Bill James, Whatever Happened to the Hall of Fame?, New York, New York: Fireside, 1995, 39, 147. 35 “Director of Museum Host to Visitors,” Otsego Farmer, May 27, 1949, 7. 36 “Bob Quinn Is Back in Town after Tour,” Otsego Farmer, April 7, 1950, 3. 40 “Game Grateful for Honest Bob Quinn,” The Sporting News, March 24, 1954, 12. 43 Kremenko, op. cit., 65.